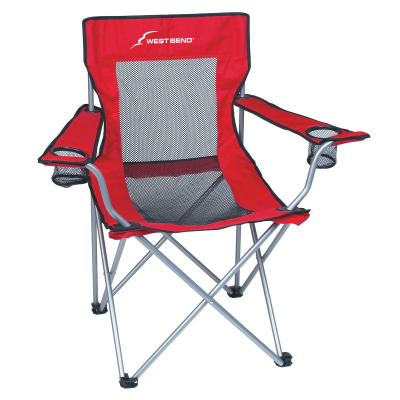 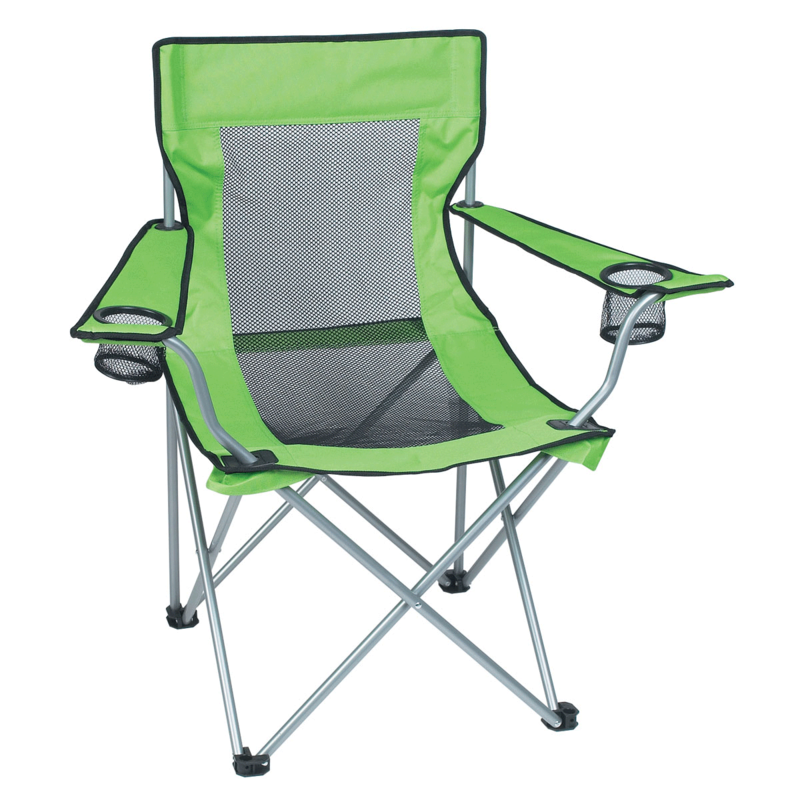 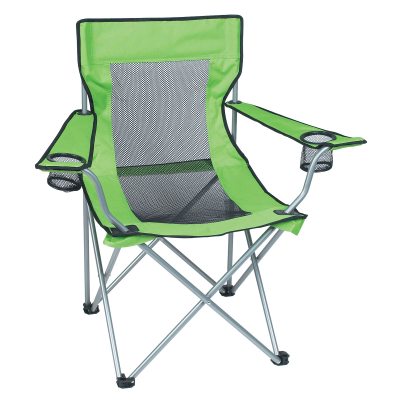 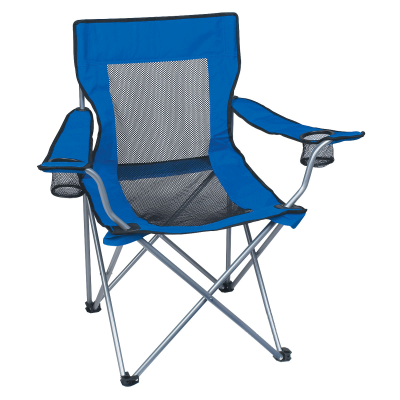 Custom printed mesh folding chair is designed for complete relaxation. 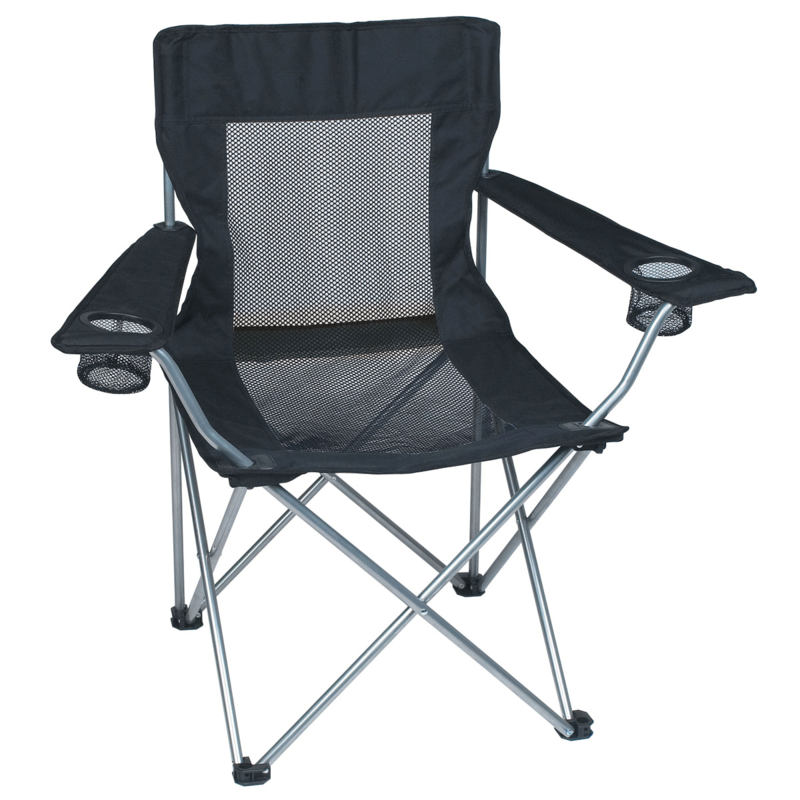 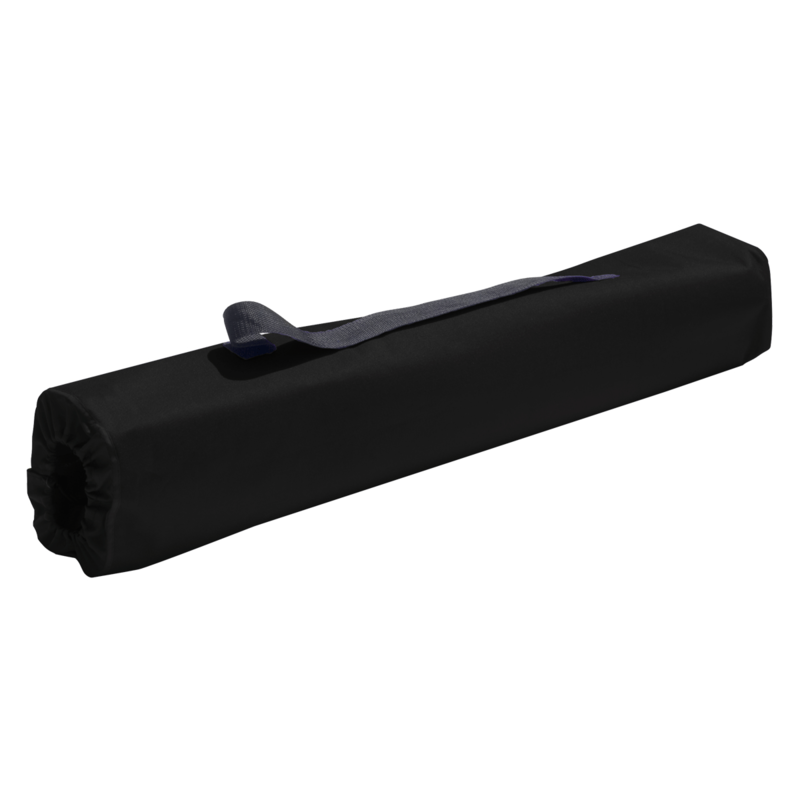 Choose from bright solid colors all with black trim and a steel tubular frame. Large imprint area for your custom logo or design.